First, if you're using an iPad, make sure that you hold it vertically. When you see an image that you like, click it. Then, your first choice is to select (1) MEDIUM. 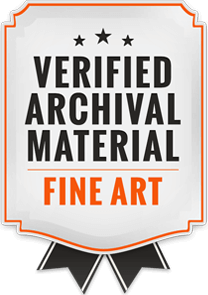 Choose between Canvas Gallery Wraps, Exhibit Mount (metal), 1/4" Acrylic, or Smooth Fine Art Paper (you can add a mat and frame), or Canvas Prints (if you want to receive rolled canvas that you take to your own framer). Next, choose (2) SIZE. If you need a specific size that you don't see, please contact me and I'll work with you to get exactly what you want. Personally, for exhibitions and home and office use, I usually print canvas gallery wraps with a 1.5" border. Border color: black. When you choose a border, color is applied to the side of the canvas, and no portion of the image is lost. If I'm going to print on paper, I like a 3" mat depending on how large the print will be, with a frame that looks best with the particular image. Notice that there are many more frames than the options you initially see--click next to see more. Next, (4) FRAME. Choose the frame that appeals to you. Please note that (4) FRAME does not appear until you click on Framed Prints under (3) STYLES. NOW, CLICK WALL PREVIEW, just below the Medium, Size, Styles, Frame. Here, you can see how the piece will look on the wall of a living room or seven other kinds of rooms by using the pull down arrow on the right of Room type. Notice that you can also change the wall color or the size of the piece by using pull down arrows on Wall Color and Size. In the event that you really must pre-visualize it with your own room, please send me a photo made from straight-on with the width of the wall space, and I can work with you to customize your selection. This is especially useful when you are choosing more than one photo. If you have any questions, please don't hesitate to call me for a free consultation at 518-329-6239. 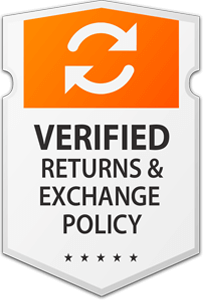 WHAT IS YOUR POLICY ON RETURNS, EXCHANGES, REFUNDS? Returns: If you don't love it, return it! You may return any product within 14 days of purchase for a full refund. Prints must be returned in new condition, packaged carefully in the original packaging, if possible. Your refund will be issued as soon as I receive the returned print. I just ask that you pay for the shipping. Email bd@bdocktor.com for specific return procedures. Exchanges: The pieces are shipped directly from my lab. In the event that your piece arrives damaged, please make a photograph of the damage and contact me within 7 days at 518-329-6239 and email the photos to bd@bdocktor.com. I will arrange for the work to be remade and re-shipped at no additional cost to you. If you'd like to be on my email list announcing specials and upcoming events, please suscribe in the box below.